Join us March 25-28, 2019 in Lincoln, Nebraska for the 2019 AgrAbility National Training Workshop, the premier training event addressing issues of disability in agriculture. Professionals and consumers from all over the country will participate in four days of plenary sessions, breakouts, tours, networking, and special events. 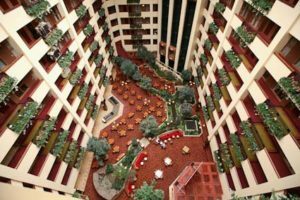 This year’s conference headquarters is the Embassy Suites -Downtown Lincoln. The Embassy Suites is located adjacent to the Lied Center for Performing Arts, the Historic Haymarket District and the University of Nebraska.